We hope that you all have had a wonderful Thanksgiving with your family and friends. At StanceWorks we are truly thankful that you, our readers, continue to support us as we venture to bring you the automotive content that gets our heart racing. 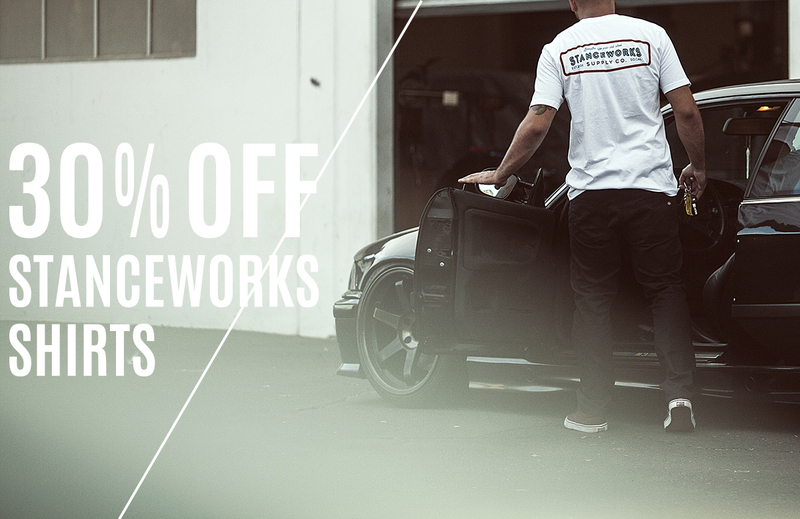 As a small token of our appreciation, we are discounting prices by up to 30% on all StanceWorks soft goods until Monday November 28th at Midnight EST. Enjoy the discounts and enjoy your holiday weekend. Stay safe and have fun out there!